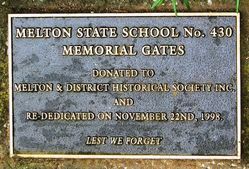 The gates formerly from the Melton State School commemorate those who served in World War One. 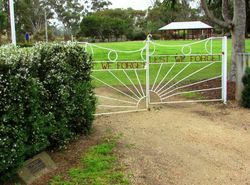 The gates were rededicated on the 22nd November 1998. Re-Dedicated On November 22nd, 1998.